Fuengirola is one of the most demanded holiday destinations on the Costa del Sol. Discover its festivals, monuments and beaches and discover its beauties. With its 8-km seashore, Fuengirola owns the longest stretch of beaches in the province of Malaga. This attracts a high number of tourists each year, which brings to the multiplication of its population during the peak season. Fuengirola does deserve a stop by, and you can find here what the most important things to do and see are in town. 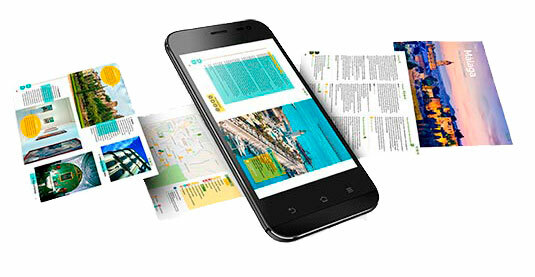 How to get to Fuengirola? The city lies 35 km from Malaga, to which it’s easily connected via the Cercanías C1. 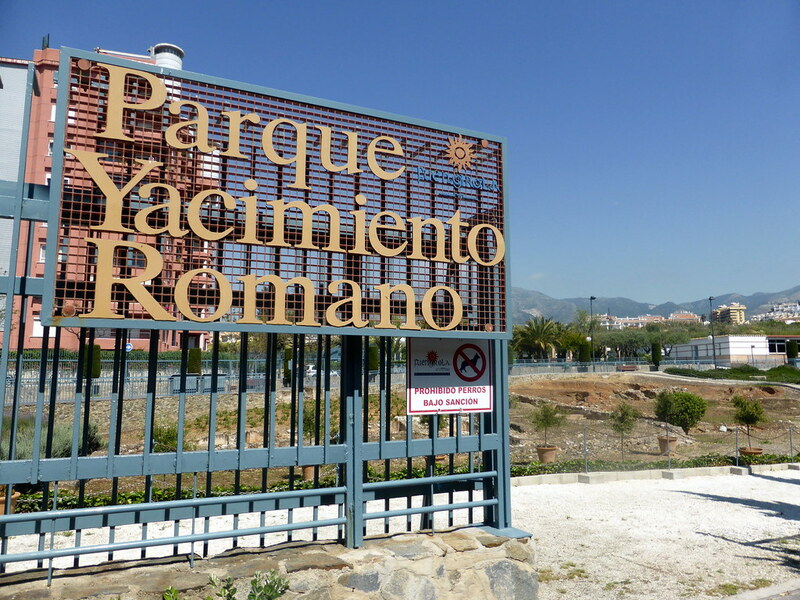 You can leave from Malaga city centre (stop Málaga Centro Alameda), from Málaga María Zambrano and the Airport. If you’d rather go by bus, the bus line M-113, leaving from Muelle Heredia, near Malaga city centre, or from the Train Station of the city. It takes roughly 45 minutes, and it costs something more than €2. You can also reach Fuengirola by car, by taking the AP-7 from Malaga towards Marbella. 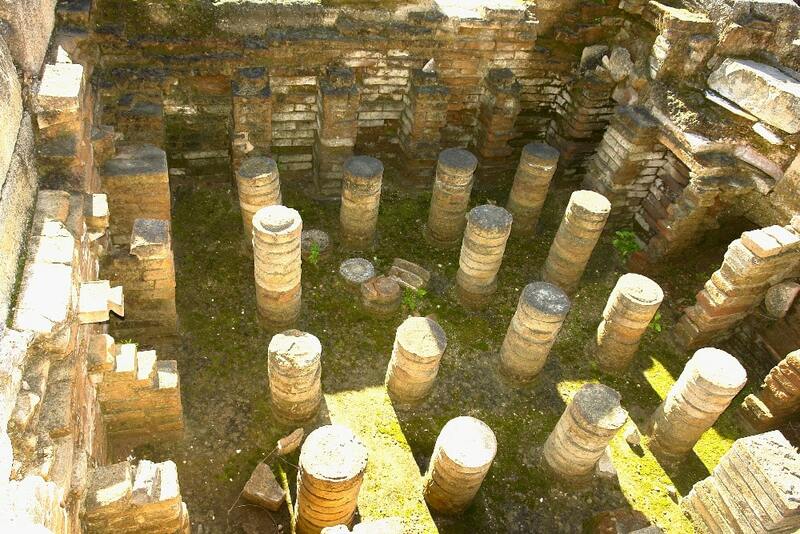 The Romans gave the area the name of Suel and provided it with the urbanistic design it still relies on nowadays. Archaeological traces have been found, such as a statue of Venus. After the invasions of the Vandals, the area was abandoned until the Arab took possession of the city. The name changed into Sohail, as the castle that presides the town. Curiosity: The castle of Sohail is said to be named after Sohail, the brightest star in the southern hemisphere, which guided the nomads in the desert. The star was visible only from the castle, hence its name. In 1485, the Catholic Monarchs conquered the area, but the menaces of pirates invasions left the area unpopulated, its only purpose being the defence of the coast. In the following centuries, Fuengirola depended on the nearby town of Mijas, from which it became independent only in 1841. It is, however, in the 30s when the City Council started building beachfront hotels, attracting foreign tourists, who later became part of the resident population of the city. Nowadays, Fuengirola is a lively touristic city on the Costa del Sol, known for its hotels, and one of the most demanded holiday destinations in the province of Malaga. Fuengirola features landmarks belonging to several civilisations, which you can’t miss out on during your trip to the city. The castle is the most famous landmarks of Fuengirola. It’s a must-see, either if you are into history, or you want to rejoice in some of the most charming sea views on the Costa del Sol. Caliph Abderramán III got the castle built in 956, on the rests of a Roman settlement on a small hilltop near the mouth of River Fuengirola. Nowadays, the castle is an open-air auditorium, featuring events and concerts, especially in summer. The most important music event is the Festival Ciudad de Fuengirola, whose exhibitions take place in the castle throughout the summer. The entrance to the castle is free. 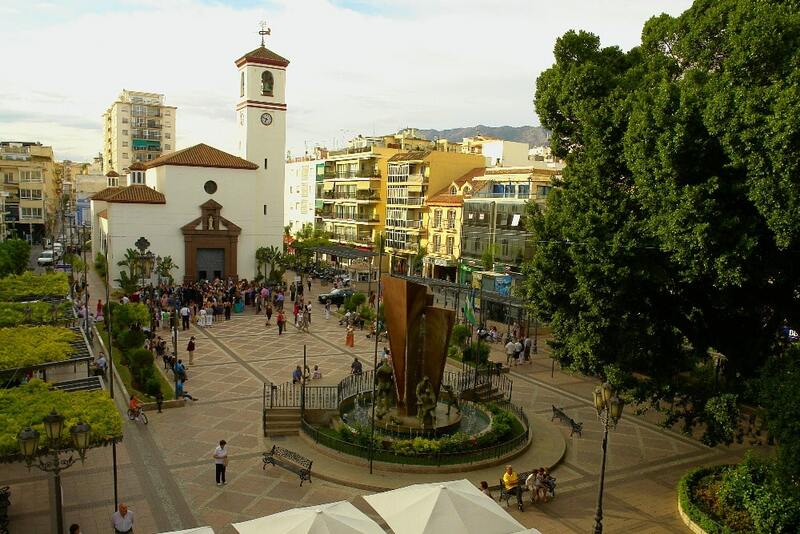 In the central square of Fuengirola, you will find the Baroque Church of Nuestra Señora del Rosario, the main Catholic temple of the city. Besides, the Plaza de la Consititución is home to countless activities throughout the year, as well as the charming Christmas markets, which make it ideal to visit all year round. Fuengirola welcomes two important archaeological sites: the Finca del Secretario and Torreblanca del Sol. The first is an important Roman villa that dates back to the 1st century AD. It’s composed of baths, ovens and a factory. The famous Venus of Fuengirola was found here, as well as agricultural tools. Torreblanca del Sol, which is also known as “Roman Baths of Torreblanca del Sol”, is located near the mouth of the steam Las Presas. The Roman Baths date to the 2nd century AD and were discovered in the 20th century. They are not open to the public yet, as they will have to undergo a recuperation and remodelling work. Being a town on the Costa del Sol, Fuengirola relies on lovely beaches whose golden sand is uncommon in the shores of the province of Malaga, where you can spend the sunny days. Besides, its 8 km of a walkway is the longest in Spain. And when the sun sets, take a stroll along the promenade, you won’t regret it. Playa del Castillo : this beach lies at the feet of the castle of Sohail. The beach is accessible for people with reduced mobility, thanks to the absence of architectural barriers. Playa de Santa Amalia : It’s connected to the Playa del Castillo via a bridge. Its waters are tranquil, thus being the perfect beach for a family. ﻿Playa de San Francisco : Lots of facilities are offered in this central beach, which is one of the most popular on the Costa del Sol, despite its reduced dimensions (only 350-mt length). Therefore, you should get there early in the morning, or plan your trip outside the peak season. 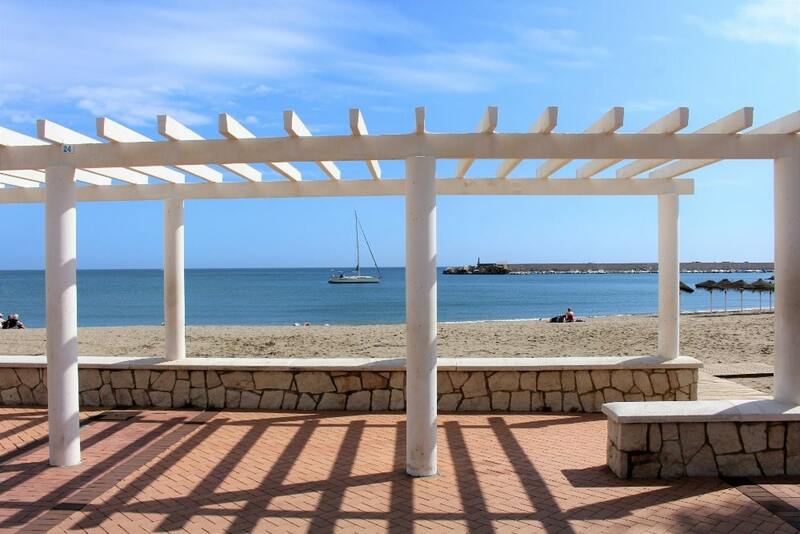 The other beaches worth mentioning are Los Boliches, in a district near the city centre; Torreblanca, near the Roman Baths and Benalmádena; and Las Gaviotas, far from the city centre and especially famous among the foreign tourists. 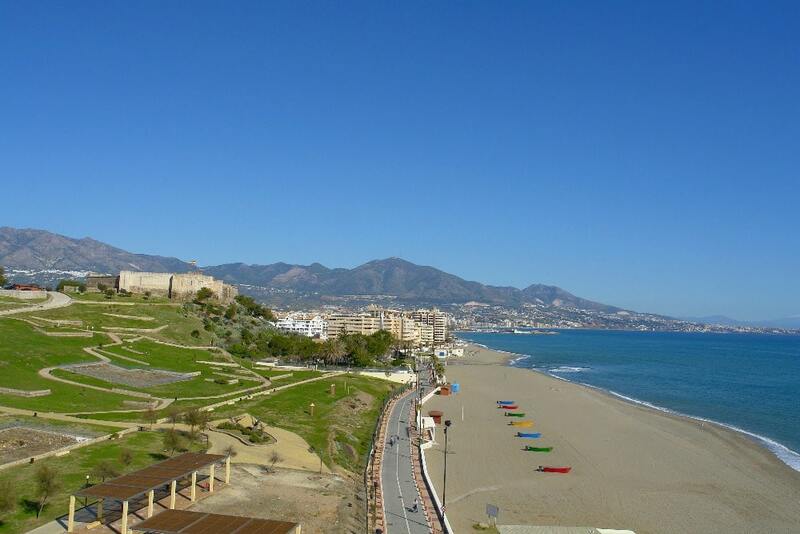 Fuengirola is the place to be if you’re travelling with children to the Costa del Sol. The several fun parks are at your disposal to make the most of the sunny weather and pleasant ambience. 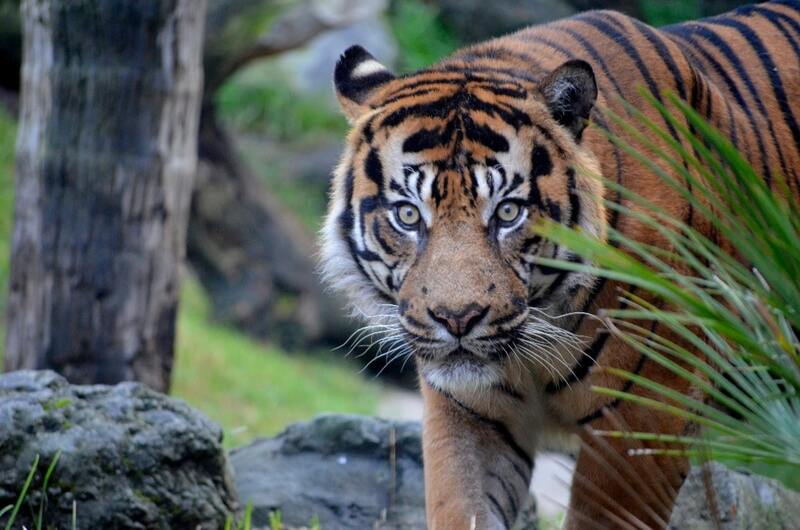 Among them, the Bioparc stands out, a zoo with spacious enclosures, breeding programs and, of course, gift shops. Costa Water Park allows children to enjoy inflatable platforms on the coast of Fuengirola. Carnivals attract lots of tourists and locals. The wide offer of activities that are planned in Fuengirola during Carnival range from children-friendly parties, costume contests which you can sign up for alone or with a group of friends, parades and entierro del boquerón (a giant image of Malaga’s most famous fish gets burnt on the beach of Fuengirola). 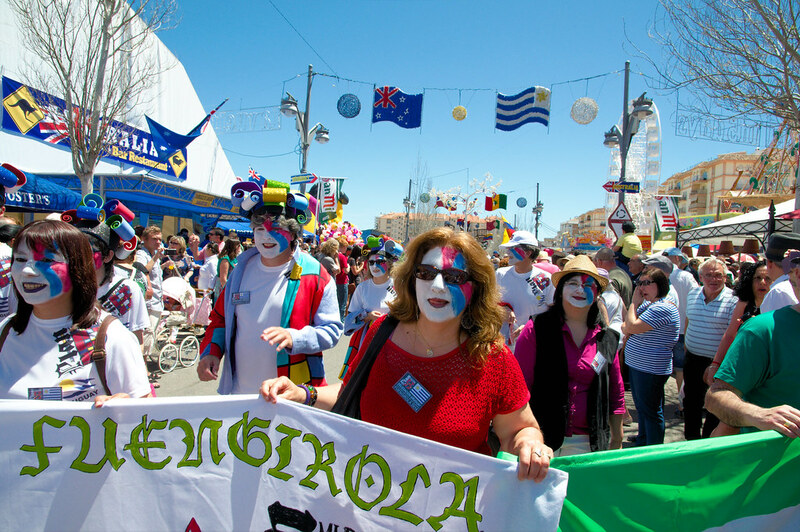 Like the rest of Andalucia, the Holy Week in Fuengirola is celebrated with processions and liturgical events. The processions that fill the streets in this town are: Pollinica on Palm Sunday, Cautivo on Holy Wednesday, Fusionada and Esperanza on Good Thursday, Fusionada, Yacente and Pasión on Good Friday and Resucitado on Easter Sunday. Two of the most important festivals on the Costa del Sol take place in Fuengirola: the Feria de Los Pueblos and the Feria del Rosario. The Feria de Los Pueblos occupies the fairground during the first week of May. Several stalls offering cuisine typical of different countries are located inside the fairground, as well as children attractions, outdoor exhibitions and live concerts. Fuengirola celebrates the night of San Juan (between June 23rd and 24th) just like the rest of Andalucia does. The burning of Júas and the bonfires on the beach are the most go-for way to celebrate the shortest night of the year. 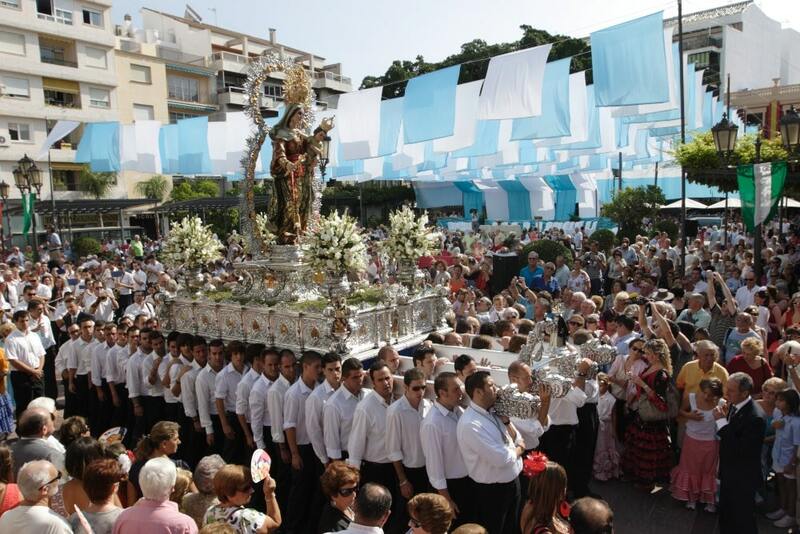 The Virgen del Carmen, the Patron Saint of fishermen and sailors, is taken around the streets of the town and on the boats of those she protects, following the tradition that is rooted in the province of Malaga. The Castle of Sohail welcomes a cultural and artisanal exhibition among the most folckloric of Fuengirola’s. More than 80 stands offer the typical cuisine, handicrafts and the possibilities of experience the Medieval culture firsthand, surrounded by the walls of the Castle. This discovery of the Middle Ages is characterised by passacaglia music, sellers and comedians dressed in the clothes of the time, shows, donkey rides, archery, fortune tellers, workshops, pottery exhibitions, and exhibitions of Medieval and Spanish Inquisition’s arms. The Market starts at 7 pm until 2 am, and the entrance is free. The Feria del Rosario, on the other hand, is related to the culture in Fuengirola. The fair, which takes place during the second week of October, includes a religious pilgrimage that ends with paella and beer, as well as flamenco dances. Concerts are also available during the fair, with tickets being sold in the Casa de la Cultura . Tip: wait for the day when the fairground rides are half-priced, to enjoy them with your children. Thanks to the foreign and local tourists’ influence, Fuengirola relies on a wide variety of restaurants that are specialised both in local and international cuisine. Among the most renowned dishes of the Spanish and Andalusian culture, you can find the espetos de sardinas, the pescaíto frito, gazpacho and ajoblanco. There are a lot of lovely apartments and pretty houses in and near Fuengirola, which will help you and your family enjoy the town at best. Take a look at the selection of the best holiday apartments and homes in Fuengirola. Have you ever been to Fuengirola? What is the most appealing thing to enjoy in town? Tell us in the comments below and don’t forget to rate the post!